Does managing make you happier? Home • Does managing make you happier? 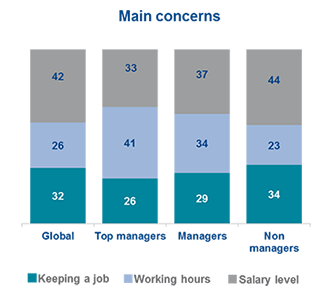 According to the 2016 Edenred-Ipsos Barometer, the majority of managers enjoy greater well-being at work than other employees. 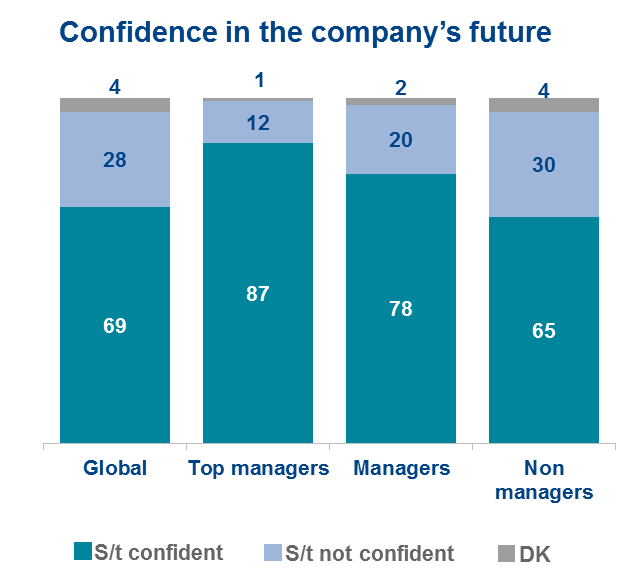 In terms of confidence and motivation, their perceptions are generally 10 to 15 points higher than those of non-managers. Happy at work, most of the time! 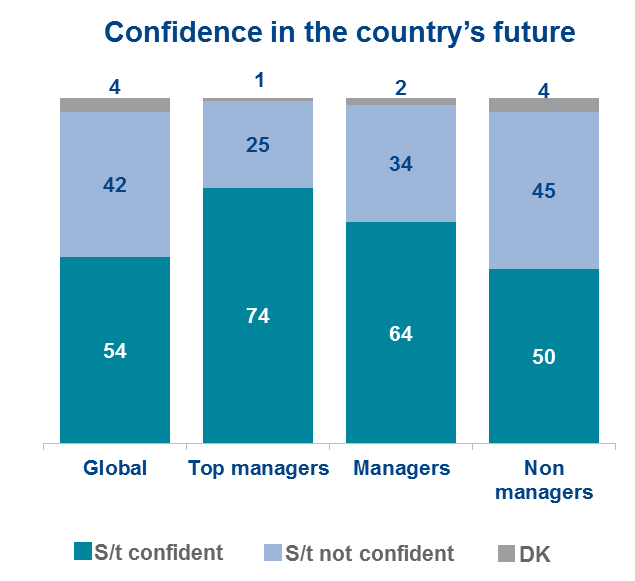 They are mainly satisfied with their interest in their job (85%), enjoy getting up in the morning to go to work (75%) and are confident in their professional f​uture (74%). Their primary expectations are related to the management of skills (transmission and renewal), 'end of career' management in particular. 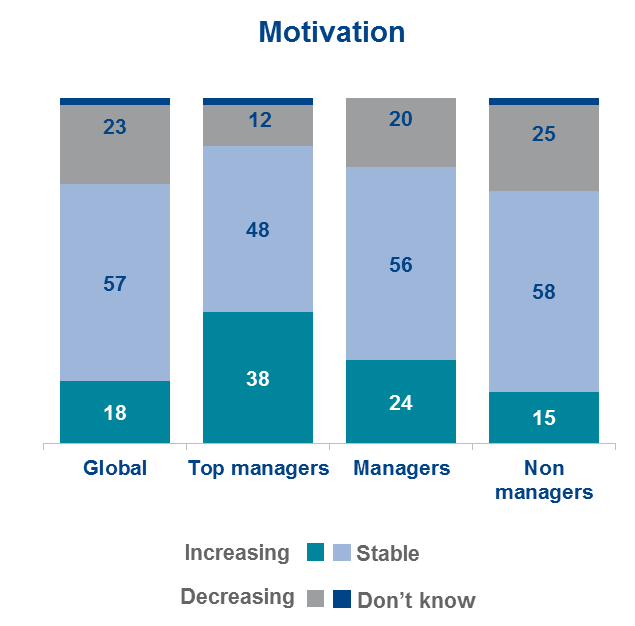 Thirty-three percent of them consider that the management of seniors in companies is inadequate. They also express an expectation regarding the establishment of a digital culture in the company. In terms of concerns, they mention salary level (37%), on par with time spent working (34%), and ahead of keeping their job (29%), with significant local variations depending on the country's socio-economic context.